My office is room 255 in the Durand Building located at 496 Lomita Mall. 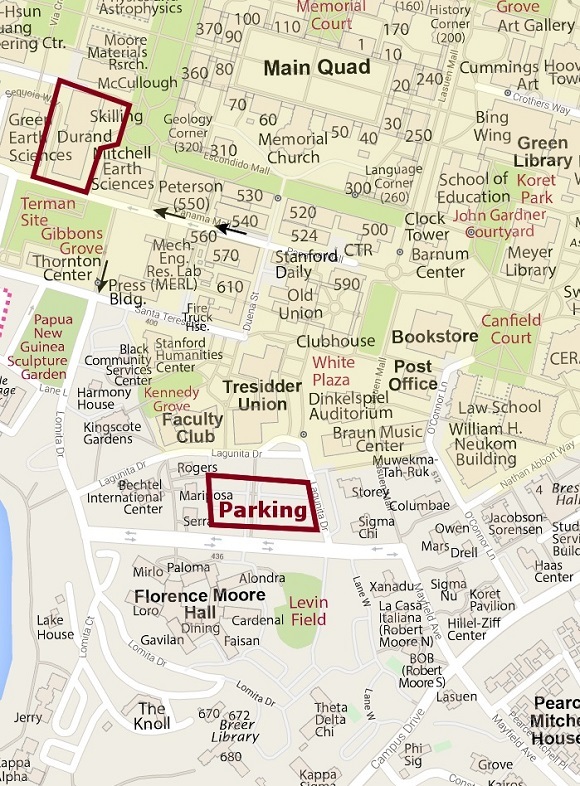 The easiest place to park is across from Tresidder or, alternatively, under Robles Field. Robles Field often has more parking available and is somewhat closer. You can pay with cash or credit card at the kiosk at Tresidder or Robles Field. Display your parking slip on your dashboard.